Light City 2018 - More Love, More Lights! This past April, Light City returned to Baltimore for its third year. Expanding over three weekends, Light City is the largest festival of light, music and innovation in North America and is quickly becoming one of our favorite times of the year in Baltimore. Not only that, it is free and open to all. 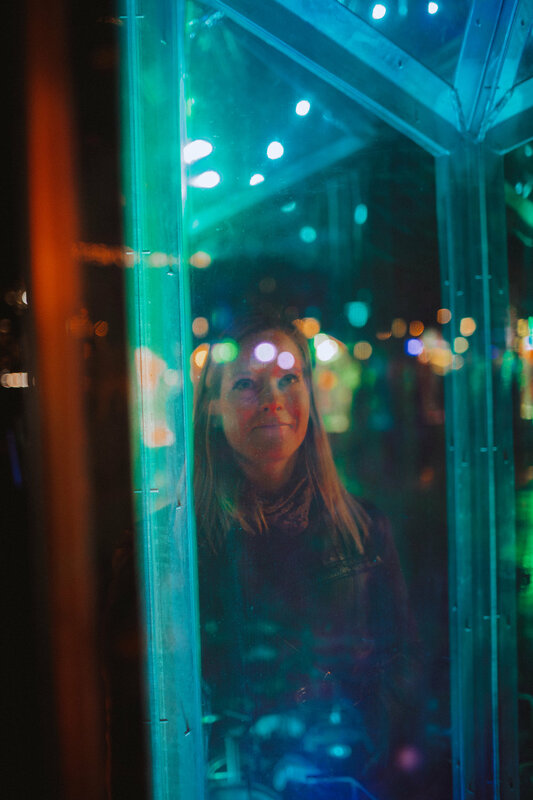 The main attraction of Light City is the BGE Light Art Walk along Baltimore’s Inner Harbor promenade, featuring art installations, performances, concerts, 100% local food vendors, and more. If you are looking to be involved in future years, stay tuned to the Baltimore Office of Promotion & The Arts, the non-profit organization that serves as Baltimore City’s official arts council and produces large-scale events like this one. Each year, they have a Call for Artists, in which artists and artist collaborative groups are encouraged to apply to have an installation featured, while also receiving funding for their projects. Light City goes beyond the Inner Harbor through BOPA’s Neighborhood Lights, an immersive public artist-in-residency program that spreads the magic of Light City into neighborhoods throughout Baltimore City. Every year, neighborhood partners are encouraged to apply to the Neighborhood Lights program. Selected neighborhoods work directly with an artist-in-residence to create an illuminated public project within their neighborhood and are fully funded by BOPA. This past year, there were 14 neighborhoods involved! Imagine years down the road where nearly every neighborhood is lit up for Light City. Additionally, the festival’s daytime innovation conferences, Labs@LightCity, brings together emerging voices and established thinkers across Art, Food, Health, Education, and Sustainability. Each Lab explores innovations and practices that build stronger, more equitable cities. We already can’t wait for next April!